Liberian officials are reporting a reduction in Ebola cases as the United States completes Ebola Treatment Unites (ETUs) across the country. Officials claim twelve out seventeen ETUs promised have been completed. But as their cases decrease, Sierra Leone’s streets remain littered with dead bodies. Government estimates place the latter nation’s death toll at about twenty people a day due to the virus. On some days, the average is blown away; there were forty-nine new deaths on October 21. Ebola originally affected only eastern Sierra Leone, but more cases are being reported in the west. Authorities believe it is because people travelled to the west through Waterloo, “which is the gateway to Freetown, the capital.” Freetown is on the coast and Waterloo is 19 miles to the east. 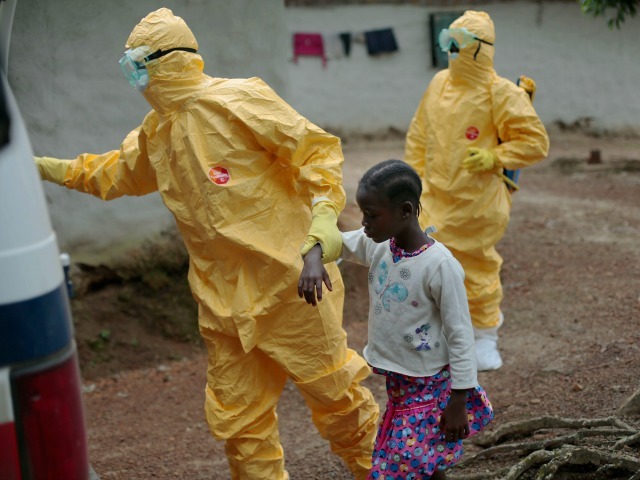 The government has now quarantined Waterloo to keep the outbreak from spreading too deeply into Freetown. “The growing fear has left the public with no choice but to call on the government for Waterloo to be quarantined as was done to other places including Kailahun, Kenema, Bombali, Port Loko and Moyamba districts,” said Sierra Leone’s Exclusive newspaper. The new deaths cause major problems for the Ebola Burial Team. Manso Kargbo, the head of the team, said his team buried “over 700 bodies” since mid-September to October 27. The majority of these bodies, he notes, are from Waterloo. His team collects bodies from homes and hospitals, but every day they discover bodies in the streets. Many Africans do not report dead relatives in order to provide traditional burials medical experts have ruled out in light of the Ebola outbreak. Kargbo insists his team conducts “dignified burial ceremonies and sometimes with participation of family members who pray from a distance.” But this is little comfort to some who decide to bury family members in family plots without proper medical guidance. As said by the Headman, Citizens in quarantined homes are amongst those finding it difficult as when they do eventually fall ill after incubation of the virus, there is usually no medical care. They go on to die in homes; continuing to spread Ebola to others in the homes. U.S. Navy Lieutenant Commander Benjamin Espinosa, the officer in charge of the laboratory, told [US Ambassador to the United Nations Samantha] Power that since the lab became operational three weeks ago, it had tested some 280 samples and in that time the share of positives had dropped to a third from half. He said this showed an increase in awareness among Liberians of Ebola’s symptoms, which can be mistaken for malaria. Testing times have decreased to five hours from five days because samples no longer have to be transported to Monrovia. “While those five days were passing, Liberians were just waiting to know their fate, and that meant that people with Ebola were intermingled with people who might have malaria or some other ailment,” said Power. The immediate tests “allows people who do not have Ebola to move out of Ebola treatment units (isolation wards) and others who may be at risk move in.” But the fight against Ebola in West Africa is not over. “We have a long way to go, we’re on the right track, the rest of the international community needs to dig deep and step up and make contributions … but we will stand together and we will defeat this epidemic,” she said.